Hair loss and hair thinning are two different issues, and can be either genetic, hormonal or both. Women typically notice hair loss and thinning earlier than men, because they spend a lot of time and money on hair care. Although the pathophysiology is different between men and women, we are able to treat hormonal hair loss on a multifactorial basis. In men, higher testosterone levels and the more important chemical pathways downstream affect hair loss early in life, and their heads start to bald. As men go through Andropause (male menopause), their testosterone levels drop, and they are not only left with a bald head, but they now also suffer from fatigue, weight gain, decreased muscle mass, and lower libido. This is because the pathway mediators in the scalp that were used to signal hair growth due to the downstream metabolism of high testosterone have long gone. Low thyroid functioning and other hormones can also play a part in hair loss. In women, low thyroid functioning and lack of female hormones (estradiol, progesterone, and testosterone) are by far the biggest issues with hair loss. If women experience hair loss or thinning after menopause (most common), it’s due to the overall female hormonal changes. If they experience hair loss before menopause, it’s often due to their thyroid, however, it is not uncommon to also have low thyroid functioning in post-menopausal women, too. Many women believe that normal TSH levels mean they don’t have Hypothyroidism (low thyroid function), however, this is not a true representation of thyroid health. We rely more on Free T3 when looking at thyroid health, and if you are in the lower 30% of the range and have symptoms of Hypothyroidism, we believe you should be treated with a combination of T3/T4 medication. It is also important to make sure immune antibodies are tested for in regards to thyroid health. In our practice, 1 in 15 women have autoimmune thyroiditis despite all their thyroid labs being in the normal range. 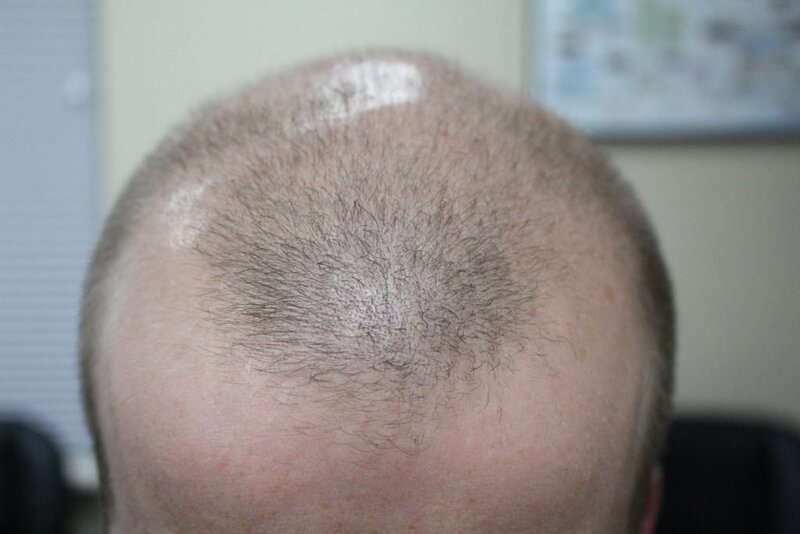 Luckily, hair thinning and hair loss can be restored by testing for any hormonal deficiencies before correcting and optimizing your unique hormone levels. Contact us below to learn more about how we can help you get your confidence back, or submit an online consultation form to setup a consultation. Our medical providers will work with you to develop a treatment plan to help you reach your health goals!